For us to give you the best results and a speedy turnaround we would appreciate it if your files are presented as clearly as possible. Here are a few tips that might help you with preperation. Our laser cutter is capable of three different styles of cut. 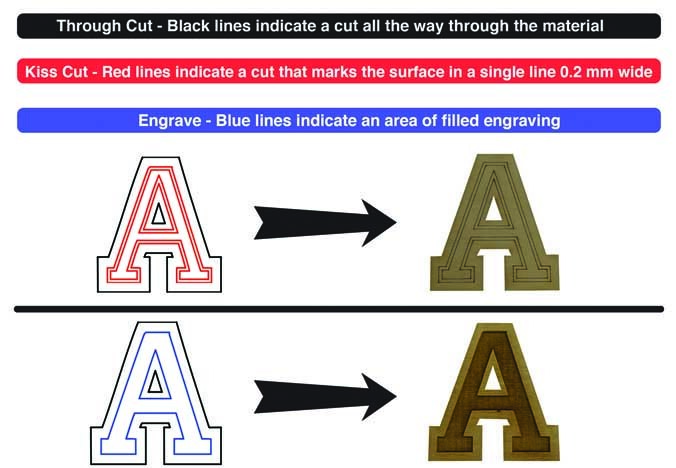 You can indicate the type of cut you would like by using three different colour lines. It is important that you leave at least 5 mm between different components, if lines are too close togther it can create burn marks. It is also important that you give us at least one dimension so we can make sure the items are the correct size. 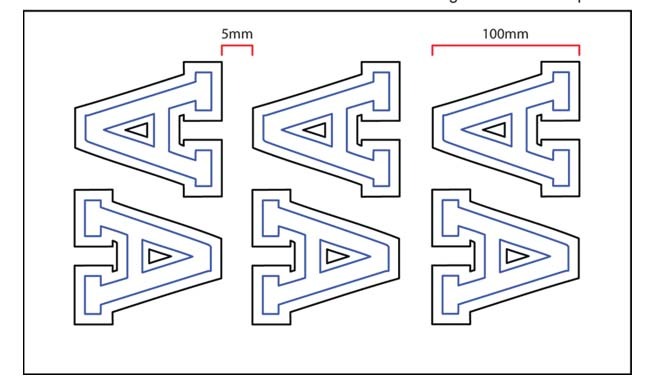 For example the “A” in the diagram is 100 mm tall and this has been noted on the cutting sheet. The maximum working area of our machines is 1200 mm x 900 mm. If you would like to cut something that exceeds these dimensions send us an email and we might be able to help. If you are unable to submit files in these formats we can work from almost any image from hand drawn sketch to pixelated jpeg as long as you make it clear what you want. You may have to pay a small fee if the drawing requires alot of work on it or needs cleaning up.